Seamlessly integrate USPS services and discounted rates into any workflow. Print USPS postage and shipping labels at discounts you won’t find at the Post Office. Start your 4‑week trial today! 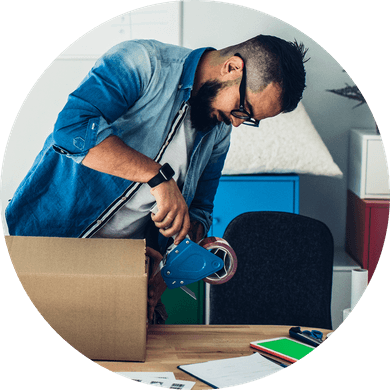 Endicia’s online postage solutions make it easier and more affordable for online sellers to ship packages using the U.S. Postal Service. We provide access to all USPS shipping services and discounts up to 40% off USPS retail rates. Our solutions have helped thousands of businesses, large and small, print more than $14 billion in postage. We are a long-time, trusted vendor of the U.S. Postal Service and we’ve built our reputation on our commitment to simplifying, improving and enhancing the package shipping process for our customers. So, whether you ship one package a day or thousands, domestically or internationally, using a PC or a Mac, Endicia can help.